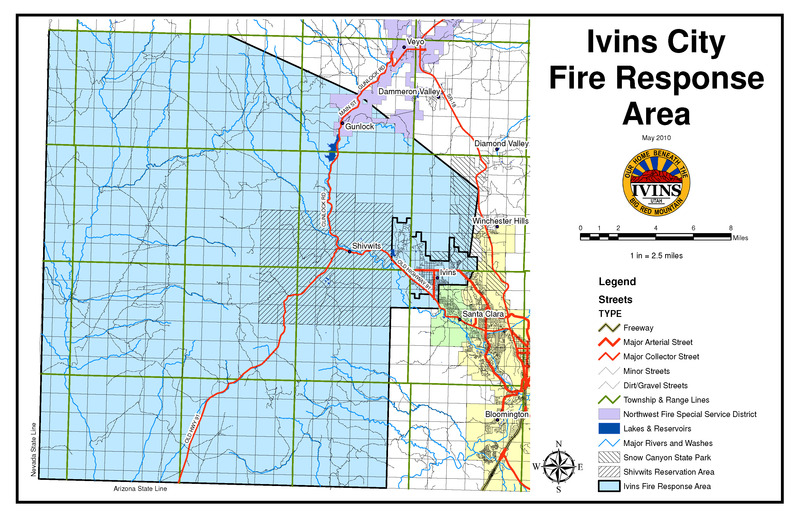 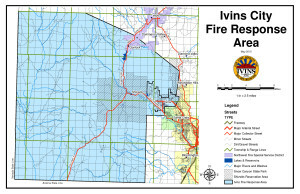 Fire/Rescue personnel provide fire services to the residents and businesses of Ivins City, as well as a 495 square mile response area which includes Gunlock, Snow Canyon State Park, Motoqua, Shivwits Indian Reservation,and Old Highway 91 to the Arizona border. 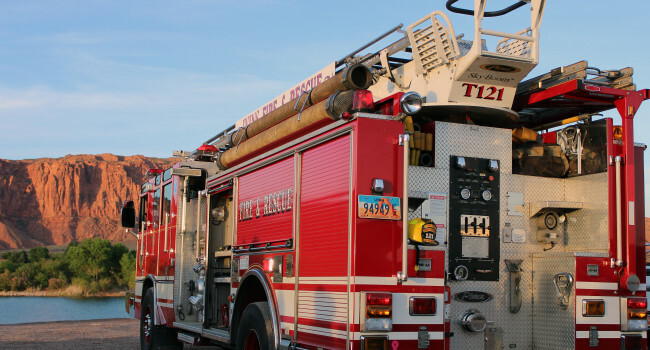 They respond to fire calls (brush, residential, vehicle, etc. 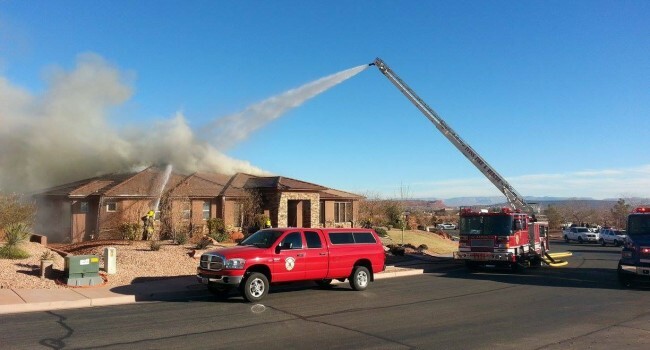 ), accidents, and other incidents requiring immediate action to reduce the loss of life and property. 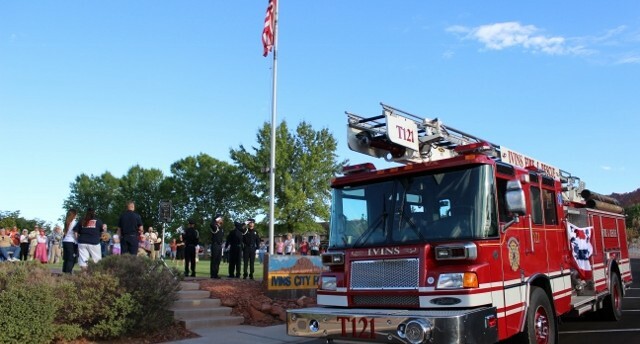 They conduct public education programs, pre-fire planning, fire hydrant inspections, fire prevention inspections, pre-business licensing fire inspections, in addition to maintaining fire fighting equipment and apparatus.Ivins City currently has two fire stations. 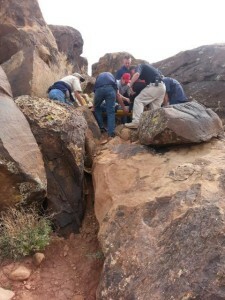 One is located on Center Street and the second one is in the Coyote Gulch business area in Kayenta. 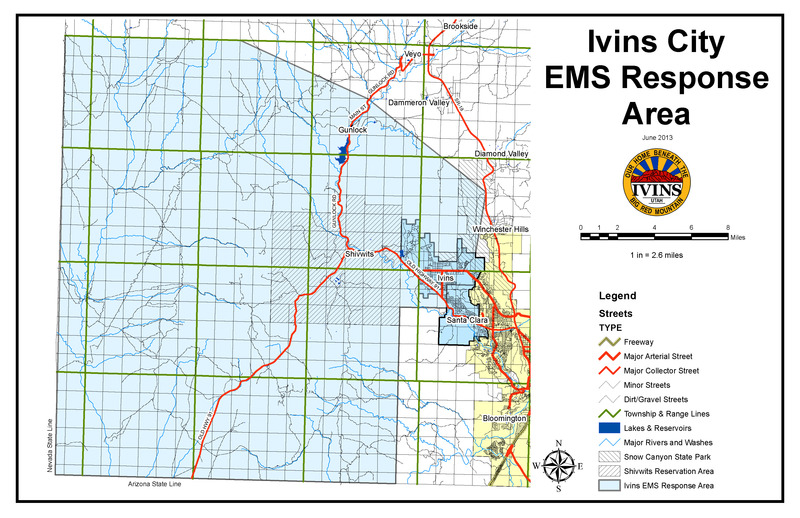 These two stations house fire and rescue equipment for Ivins City. 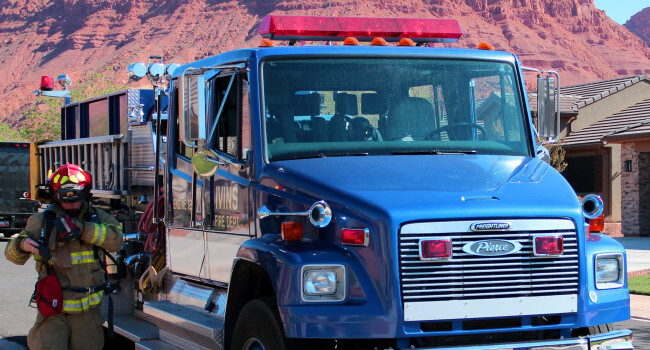 Fire and rescue equipment owned by Ivins City includes one 65-foot Pierce Quantum Fire Truck, two Type 1 Structure Engines, two Type 6 Brush Engines, two Ambulances, Type 4 Brush Truck. Our volunteers provide the City with 24 hour fire and rescue coverage. 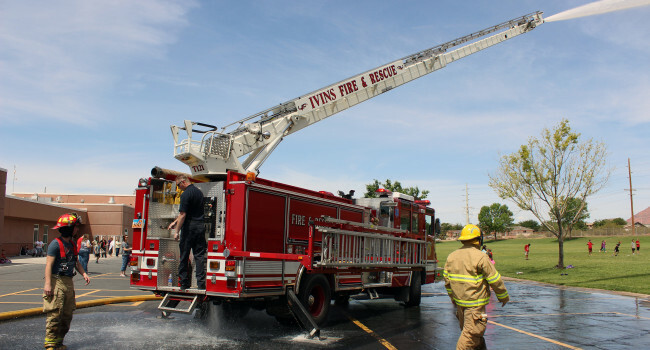 The department offers continued training for the volunteer firefighters and EMS personnel every month. 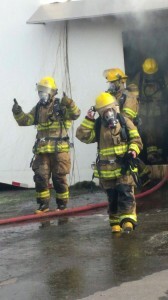 All volunteers are required to work toward passing the State firefighter certification examinations and hazardous materials certifications. 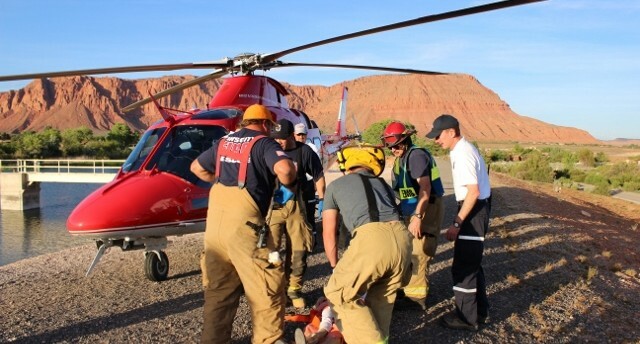 Ivins EMS is staffed with Paramedics and Advanced Emergency Medical Technicians. 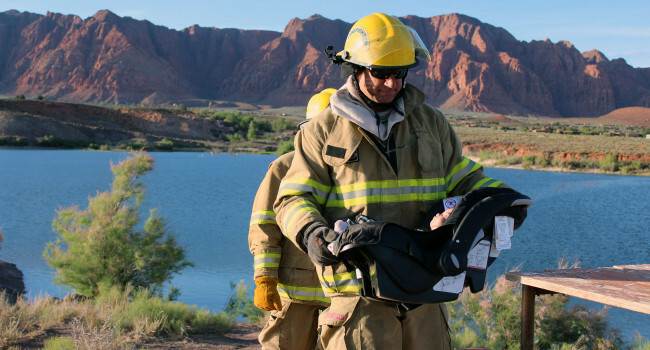 EMS service is available round the clock, 365 days a year. Ivins EMS provides high quality care for the cities of Ivins, Santa Clara, and Gunlock, as well as the Shivwits Reservation, Snow Canyon State Park, and as far as the Arizona border on Highway 91.